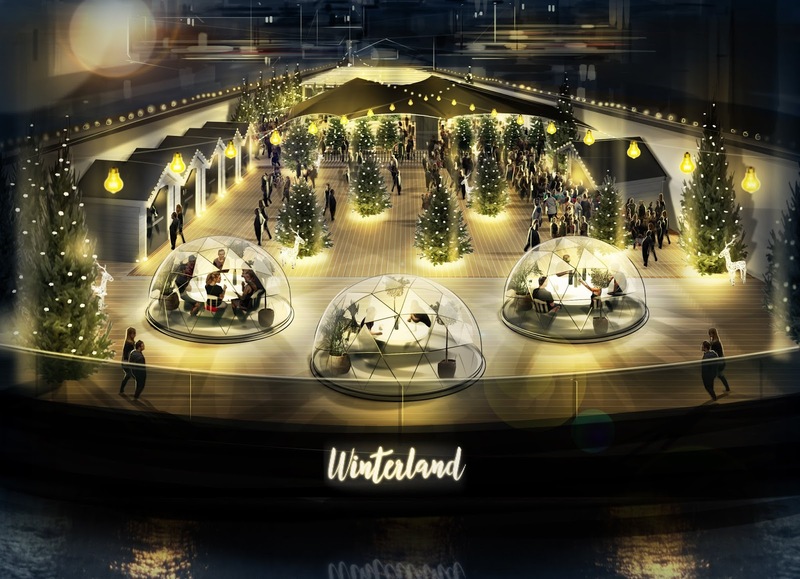 Neverland Beach in Fulham was one of the hit pop-ups of the summer, and now it is back for the winter, as Winterland, with Jimmy's Lodge serving fondue and other warming food, 4 curling lanes, ping pong, mini golf and more. It's open Thursdays to Sundays from 9th November, and costs from just £5 to get in. This one is going to be huge! Winterland London opens this November as a heated outdoor drinking, dining and entertainment destination. Boasting its very own enchanted forest, cosy winter lodges, riverside igloos, curling lanes and winter warmer cocktails. This affordable drinking and dining experience welcomes people to make the most of the winter season, with fur lined sofas and Jimmy Garcia of Jimmy's Lodge on hand to serve up incredible fondues and raclettes to hungry guests. As well as amazing food and drink on offer, Winterland London will also play host to a snow-clad adult playground that will feature 4 spectacular curling lanes where guests can try their hand at a Winter Olympics favourite, mini golf, beer & prosecco pong for a wintery spin on the classic college drinking game, and table tennis for those who want to keep fit whatever the weather. Welcoming parties and larger groups - fur lined sofas can be booked for up to 15 people, group bookings of up to 10 have access to heated winter lodges and heated igloos by the river for up to 8 people - both offering an amazing a 3 course fondue package with alcohol. Curling lanes, beer pong and ping pong tables available to hire from £5 per person. Private hire and secret private dining room bookings available. Entry starts at £5, giving entry and access to any of the free seating from feasting tables to furry sofas. Limited tickets can be purchased on the door or jump the queue by pre-booking ticket on the Winterland London website. Find the perfect spot at Winterland London, a romantic hut to snuggle up in, weekend family brunch in the enchanted forest, or friends for a party. Eat, drink, play games and listen to music alongside the river Thames offering affordable and heated outdoor drinking and dining at its best." London starts at £5 granting access with BYOB (Thursday, Friday & Sunday) to heated seating and the enchanted forest. Private hire bookings available. Further information via neverlandlondon.com/winterville and get tickets via Design My Night here - Curling is separate with tickets available here.